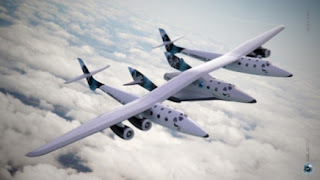 Sir Richard Branson and X Prize winner Burt Rutan unveiled the world’s first consumer spaceship yesterday. The craft will fly to 50,000 feet, giving all passengers a nice view, and then a select group in the central rocket pod will untether and blast higher to 60 miles, where the sky turns inky black. Branson says construction is 70% complete and testing is scheduled for 2008. Wealthy tourists have already booked flights at $200k a pop and undergone high-G stress testing to make sure their limbs won’t fly off. If New York and Tokyo become just a few hours apart, the world may learn to speak with one accent. 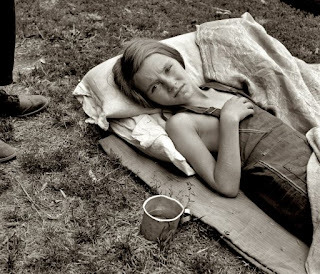 Just when we’re feeling blue about Apple not releasing a 3G iPhone, we catch images like the one above of a sick migrant child worker in Yakima Valley, Wash., in 1939. This weekend Andy points us to Shorpy, a brilliant compilation of 100 years of American photography. The poverty and austerity of the earlier generations provide striking perspective on our silly gadgets today. Many images show a country pushed to the roads. 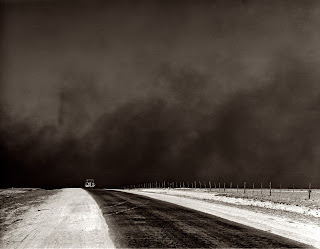 The dust bowl and depression of the 1930s set America in motion. People lived in tents; entire families climbed into rickety railcars; autos out-raced dust storms. And the era created outdoor advertising — a plethora of postings for Chesterfield, Coca-Cola, Burma-Shave, trying to catch people as they approached country stores. In some ways, it was a golden era of outdoor, before the interstate highway system of the 1950s took people away from villages and made small signs impractical. 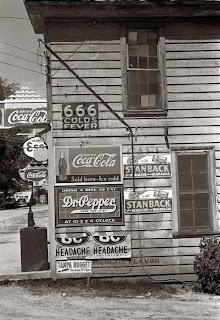 Strange thing is, all the little signs of the 1930s remind us of today’s banner ads trying to catch eyes on the internet. New highway. New store fronts. Same tactics. Why don’t states sell ads on license plates? Geez, you’d think this would be a no-brainer. 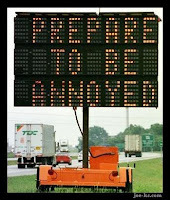 With almost 4 million miles of highways in the U.S. and people stuck in traffic 3.7 billion hours a year, Coke or Pepsi ads on the back of cars and trucks could have huge impressions. Advertisers could set up networks of commuters, targeting key geographies. State roads are falling apart and bridges are collapsing. Billions of dollars in potential ad revenue could flow in to state coffers, giving us all four-lane highways and better rest stops. Only if we’re comfortable wearing a brand logo on our rear end.